I like to listen to podcasts when I run. Call it multitasking at it's best. Lately I have been listening to Disney-related podcasts in the car and on runs which makes those tasks all the happier. During a run last weekend I was listening to a CapturingMagic.me podcast in which they were talking about creating photo books. 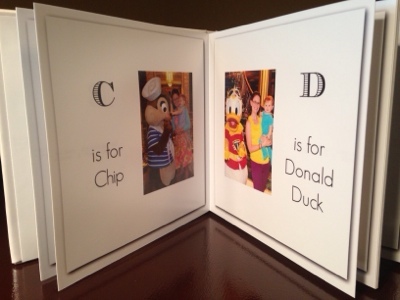 Specifically they were talking about making small custom board books for young kids with pictures from a disney trip. 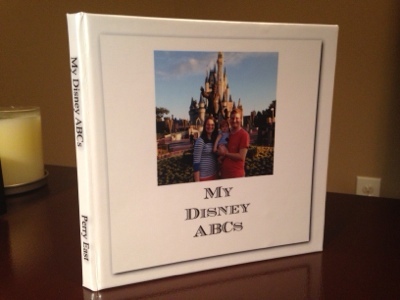 This sparked a random but fun idea...to make our very own ABC book for Perry...Disney style. When I got back to the house I went to work. 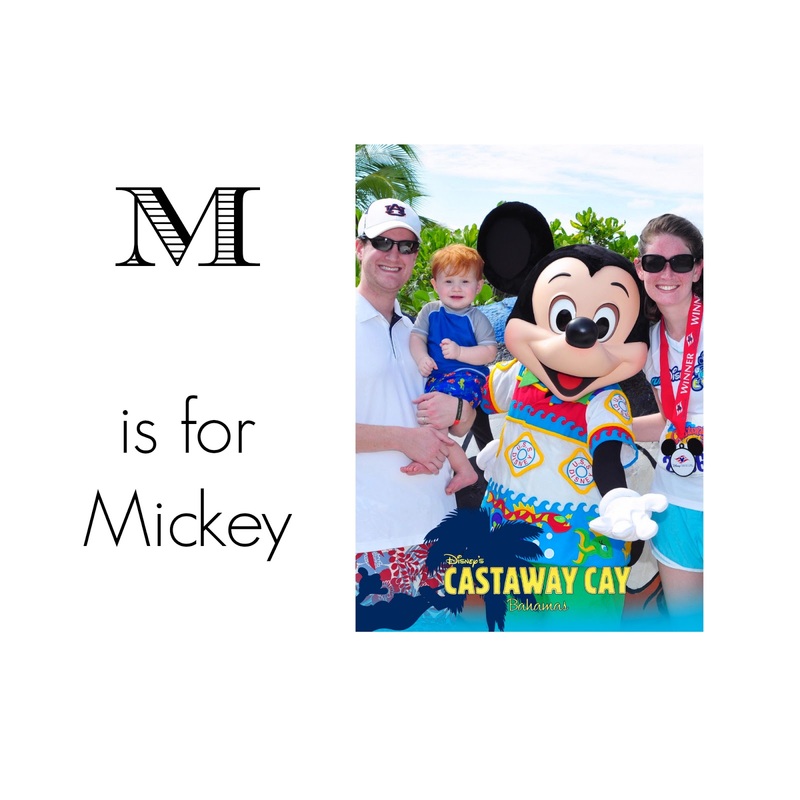 Collecting all the pictures we have with various Disney characters from previous trips and figuring out a character that corresponds to each letter in the alphabet. Let me just tell you...there are some letters where it is pretty slim pickin's. We definitely didn't have our own photo for every single letter...so I did some googling and saving of some public domain graphics and images too. Creating the images for each page was the most time consuming part of the process. But I got it all done in maybe an hour or so. It really wasn't too bad. After that all that was left was importing the images to a photo book site, dropping them in and clicking "order." I used the company AdoramaPix, because they have really nice thick (laminated feeling almost) pages and because the way they bind makes books lay flat. I did some research on actual board book printing companies, but the ones I saw were either over seas or had some significant restrictions to the layout and number of pages that I didn't want to have to work within. The printed book came in the mail today, not even a week after ordering. I am super happy with how it turned out. It is not technically a "board book" but durable enough I am not nervous about Perry tearing the pages. Hopefully it will help him learn his ABCs and disney characters at the same time. And I love the fact that many of the photos are of our family. 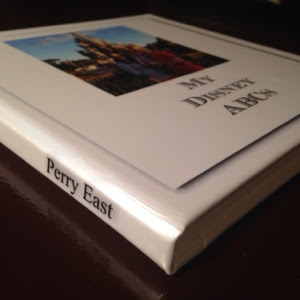 I think this cute little 6x6 book is going to hop it's way right into Perry's Easter basket in a couple weeks.